Occasionally I find images of rooms that I admire. 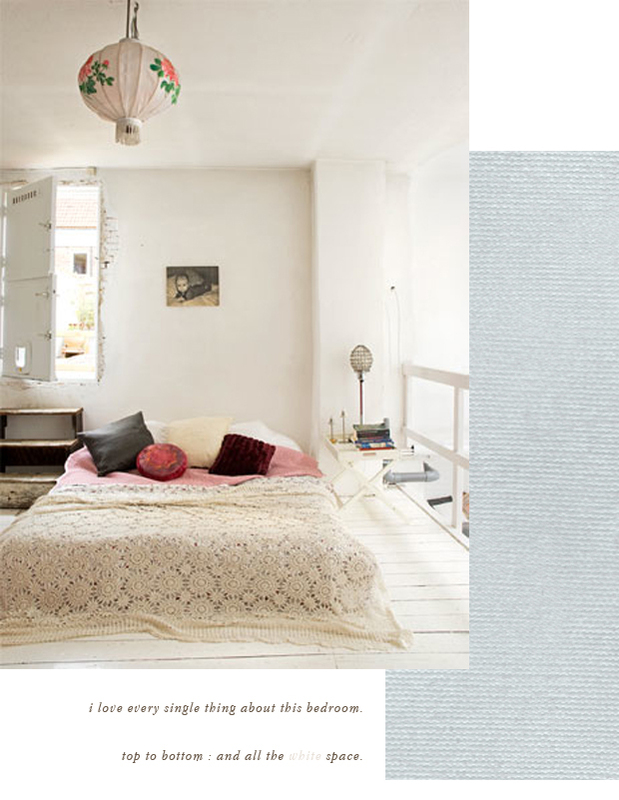 This bedroom is one that I really love, something I'd like to mimic. Like, every tiny detail. That crocheted bedspread, crisp white walls, mix-matched pillows, floral paper lantern, and step-stool exit + entry would never get old. Simply perfect if you ask me. i'm really in love with the blanket! looks like a cozy little place. The door entry is so unexpected. I love it!